ROOF COATING Roof Coating with 10 year product Guarantee. 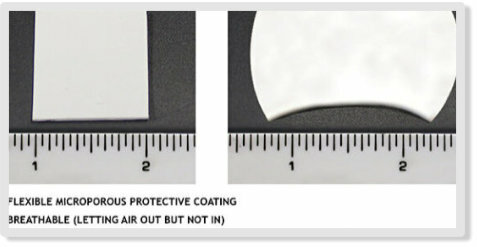 Clear or coloured coatings for concrete roof tiles. ROOF CLEANING Low Pressure Roof Cleaning & Biocide guaranteed for 3 Years. Moss and lichen removal guaranteed. WALL COATING Weatherflex 15 year wall coating full colour range. Brick and Stone sealers. SOFTWASHING Soft Wash Roof Cleaning is a chemical roof cleaning system which can be used in conjunction with a manual scrape. RENDER CLEANING K-rend and Pebble Dash render cleaning with softwash and biocide chemical system. Vortex Low Pressure Controlled Volume Roof Cleaning System VORTEX Nozzle projects a low-pressure swirl of water to clean the roof tile surface gently and effectively. The vortex Cleaning System is specially designed to deliver a constant flow of low pressure spinning water that quickly breaks down grime and effectively removes moss,lichen and algae. We take care of your property. It is imperative to our company that we complete the works to our customer’s satisfaction so it is essential that we leave your property is pristine condition and the quality of our workmanship achieves a very high standard. This accomplished we would hope to secure our customers recommendation which is a vital part of our business as one good job leads to another. The company is vetted by Checkatarde where our reputation matters. The importance of a quality biocidal wash equates to the longevity of the roof clean. The Biocidal Wash Cotec use is a high quality, professional-grade product that can be used in conjunction with power washing as a post- treatment or as a standalone softwash. The product is fully biodegradable, does not bio- accumulate and is also PH neutral thus safe for children and pets once dry. It also contains no bleach or acids and is harmless to all know building materials. MOA The biocidal wash soaks deep into porous surfaces – killing the micro-organisms These actions extend the initial cleans longevity keeping your roof cleaner for longer. System 1 The application of a Softwash solution (Sodium Hypochlorite) This system requires one to two treatments of the solution rinsing between treatments. This is then followed by further rinsing before the application of a premium biocide. Softwash is a highly effective, sodium hypochlorite based softwash biocide exterior hard surface cleaner which does not bio- accumulate in addition the powerful surfactant that is used is fully biodegradable. System 2 (ddac) The removal of the excess growth from the roof can be very time consuming and may require the need for scaffolding. The roof is cleaned if the tiles are sound and the pitch is below 30° by power brush and scraper. Roofs with a steeper pitch or fragile period clay tiles for instance - the preparation is carried out from the eaves using bespoke telescopic tools. After de-mossing a premium biocide is applied which is left to work overtime to clean the roof which can take up to 1 year. (lichen will still be until it dies and drops away) Biocidal Wash is Ph neutral, and is unaffected by hard or soft water. Its "residual biocide" effect helps prevent re- colonisation by biological growths, ensuring your surfaces remain cleaner for longer. Protection of the planted environment: The active ingredient can leave a discolouration at the point of contact with plant leaves and flowers. Early rinsing has good results but some protection may be needed. The importance of a quality biocidal wash equates to the longevity of the roof clean. The Biocidal Wash Cotec use is a high quality, professional-grade product that can be used in conjunction with power washing as a post-treatment or as a standalone softwash. The product is fully biodegradable, does not bio-accumulate and is also PH neutral thus safe for children and pets once dry. It also contains no bleach or acids and is harmless to all know building materials. MOA The biocidal wash soaks deep into porous surfaces – killing the micro-organisms These actions extend the initial cleans longevity keeping your roof cleaner for longer. System 1 The application of a Softwash solution (Sodium Hypochlorite) This system requires one to two treatments of the solution rinsing between treatments. This is then followed by further rinsing before the application of a premium biocide. Softwash is a highly effective, sodium hypochlorite based softwash biocide exterior hard surface cleaner which does not bio-accumulate in addition the powerful surfactant that is used is fully biodegradable. System 2 (ddac) The removal of the excess growth from the roof can be very time consuming and may require the need for scaffolding. The roof is cleaned if the tiles are sound and the pitch is below 30° by power brush and scraper. Roofs with a steeper pitch or fragile period clay tiles for instance - the preparation is carried out from the eaves using bespoke telescopic tools. After de-mossing a premium biocide is applied which is left to work overtime to clean the roof which can take up to 1 year. (lichen will still be until it dies and drops away) Biocidal Wash is Ph neutral, and is unaffected by hard or soft water. Its "residual biocide" effect helps prevent re-colonisation by biological growths, ensuring your surfaces remain cleaner for longer. Protection of the planted environment: The active ingredient can leave a discolouration at the point of contact with plant leaves and flowers. Early rinsing has good results but some protection may be needed.